Solar Rechargeable Motion Sensitive Security Light Solar rechargeable motion sensitive security light. 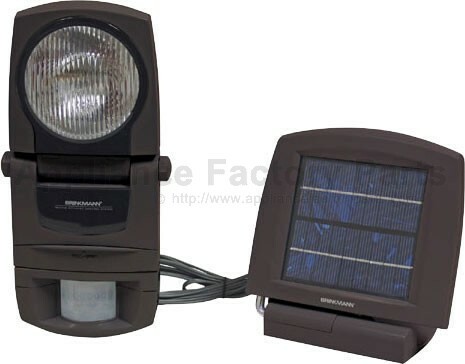 Durable ABS construction with Halogen bulb and adjustable remote solar panel with 15 ft. cord. Motion sensor is shielded and contains an automatic temperature control. Front panel flips down for easy access to control switch. Three-position control switch (OFF/TEST/AUTO.) 6-volt lead acid battery. We're adding new 821-8000-0 parts all the time, contact us for pricing and availability.